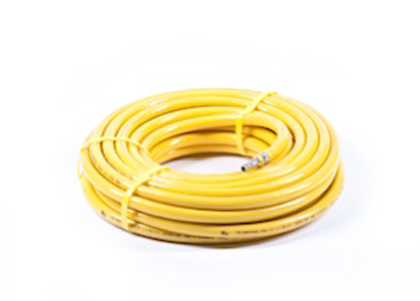 Along with our high end air hose we supply filters, controllers and fittings that provide adequate air volumes and minimal pressure loss to the blasting or coating equipment. Our experienced specialists can help you choose the correct hosing and fittings required for your business. 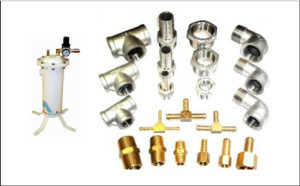 Compressed air lines require replacing the fittings at specific intervals to ensure the system runs efficiently without negatively affecting the compressor. 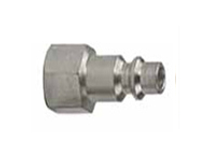 Our high quality fittings and hosing will ensure durability and reliability. 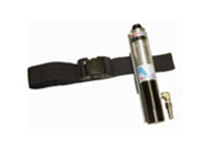 Our airline filters filter out the smallest of particles while providing adequate air supply to the operator. Whether its construction or any other industry, well ensure you have the best quality compressed air hose and accessories to complement your business. 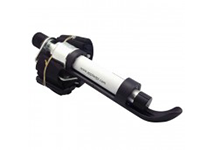 Our Applied Respirator Airline Hoses are designed with only top quality materials and uphold their reputation of high durability and reliability. 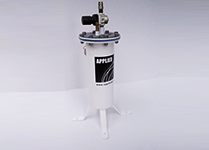 This free standing, single outlet filter is the perfect product for the user seeking “best of the best” in operator safety. Our Applied Climate Controller is at the forefront of the latest technology that can cool or heat air supply to a respiratory helmet. A cost effective alternative to the Air Cooling Controller, and can be utilised to control the air flow. 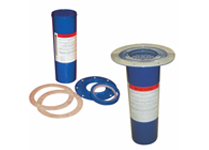 The Applied Respirator Filter Adaptor Kit is specifically designed to replace old filters that suit respirator filters that use flanged style cartridge. 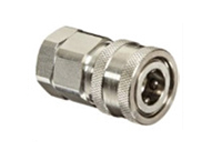 Applied Quick Disconnect Couplings are manufactured and machined from high quality material and are a no spill coupling. Manufactured and machined from high quality material and are a no spill coupling which will easily and quickly fit onto the airline system.